Canada’s Gabriel Resources (TSX:GBU) is suing Romania for $4.4 billion in alleged losses over its long-stalled Rosia Montana gold and silver project, which the government of that country refused to approve following relentless protests. The London, England-based miner said the suit would be filed Friday with a World Bank Tribunal. In the claim, Gabriel Resources will argue that Romania violated several investment treaty provisions in its claim to the bank’s International Centre for Settlement of Investment Disputes. The company will log the claim Friday with the World Bank’s international settlement arm. Investor reacted positively to the news and the stock was up more than 7% to 3 Canadian cents at 12:32 PM ET. Since the project was halted, however, shares in the company have lost almost 63% of their value. After spending about 15 years and $700 million trying to build its flagship $2bn Rosia Montana mine in Romania, the Toronto-listed company locked-horns with the government of the European country, which ceded to environmentalists pressure to halt the project due to concerns over the use of cyanide in the extraction process. Opponents to project also claimed that Rosia Montana Gold Corporation (RMGC), majority owned by Gabriel Resources, incurred in money laundering and tax evasion. The country’s government officially withdrew its support for the project in 2014, after revoking a bill that would have allowed the mine to go ahead. Gabriel tried reaching an “amicable solution” with the Central European nation, but the lack of answers pushed it to seek international arbitration. 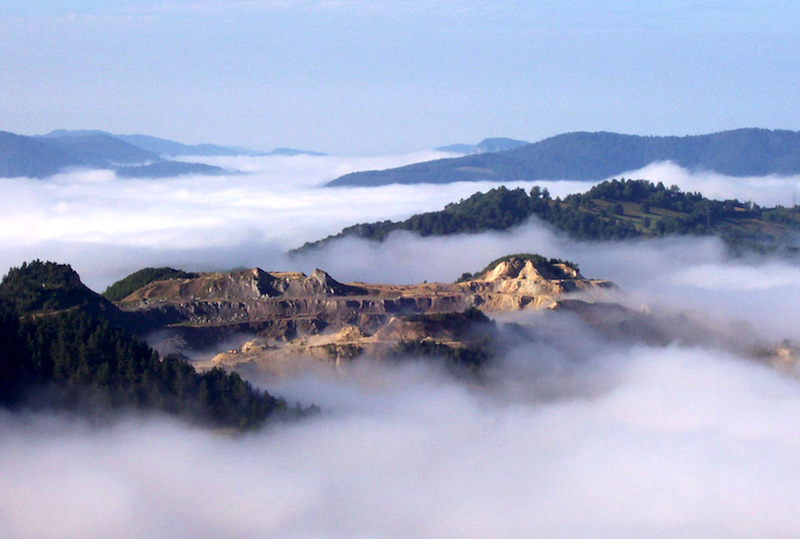 The open pit operation would have been Europe’s largest gold mine and, according to the company, it would have injected up to $24 billion into Romania’s economy. The $4.4-billion damage claim represents more than 2% of the nation’s forecast gross domestic product of just under $200 billion this year. Bucharest has until early 2019 to respond to the suit. The court will hear arguments in September next year.